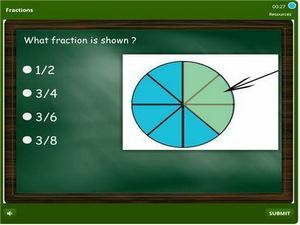 This is a 1st grade quiz on fractions online. 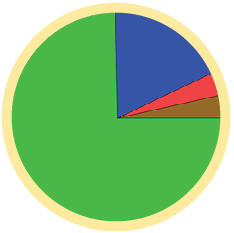 Kids can review several skills on fractions as follows: identifying fractions from pictures that show halves, thirds, fourths, fifths etc, fraction word problems, comparing fractions, and more. By the end of this quiz, students will successfully evaluate skills needed in this topic as per their needs in first grade. There are pictures to make it easy and there are multiple choices of answers to select from. Begin practicing and track your score. Earn badges and a certificate at the end of each level.